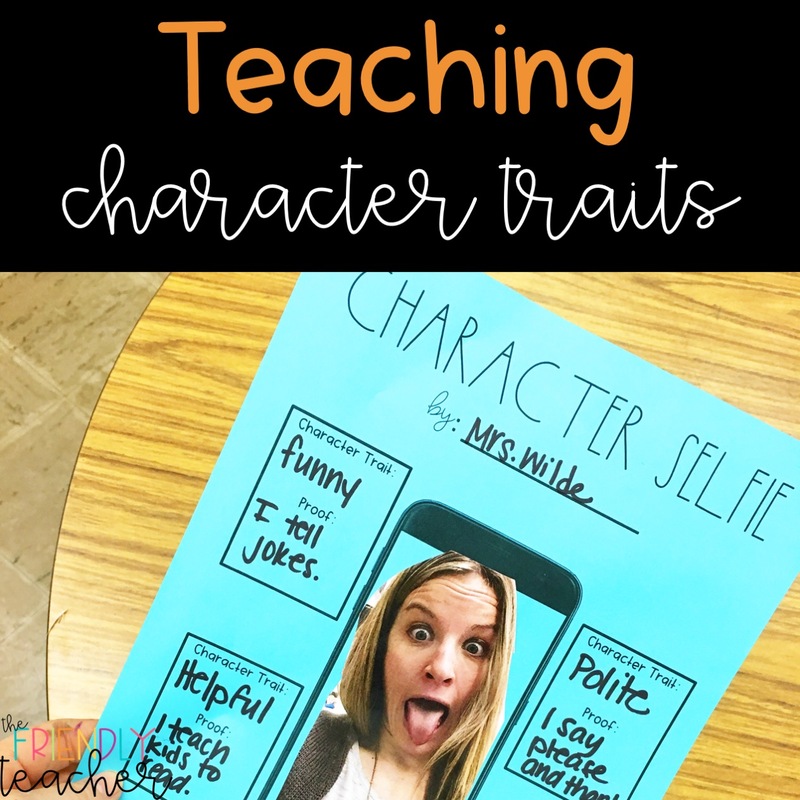 Teaching character traits is SO.MUCH.FUN. I love looking at character traits, motivation, and feelings! The students love digging in deep to their character traits as well. My first lesson is always sticky note traits! 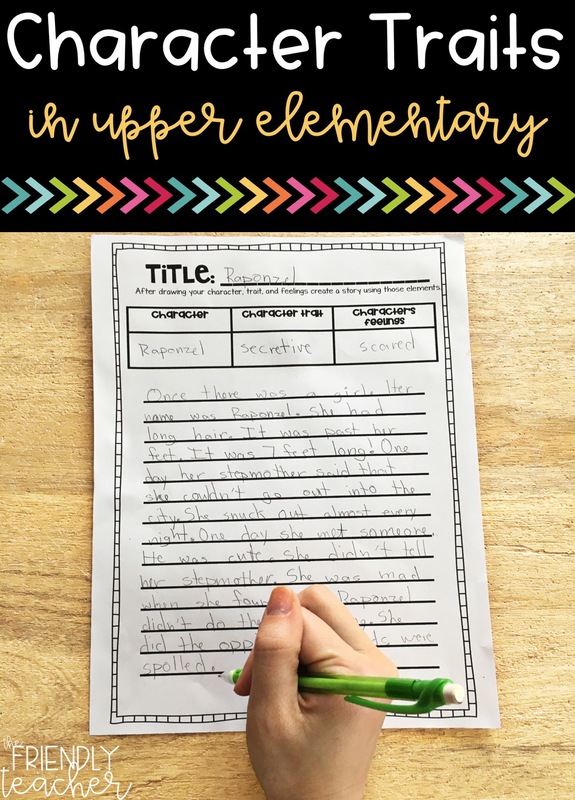 For this lesson, you introduce character traits with students and then give them a post-it note. They have to write a trait you have and provide proof of where that trait comes up. They then get to stick it on you. I usually let them do this with each other too! Then we are all full of sticky note traits! We spend a full week learning all about character traits, motivations, and feelings. Students take home a survey for two people in their family. They ask them questions that will reveal a character trait or two. We use that survey to look into and analyze what traits match their family members. We use an anchor chart and this song to learn all about what character traits are! We watch this Pixar to practice character traits. 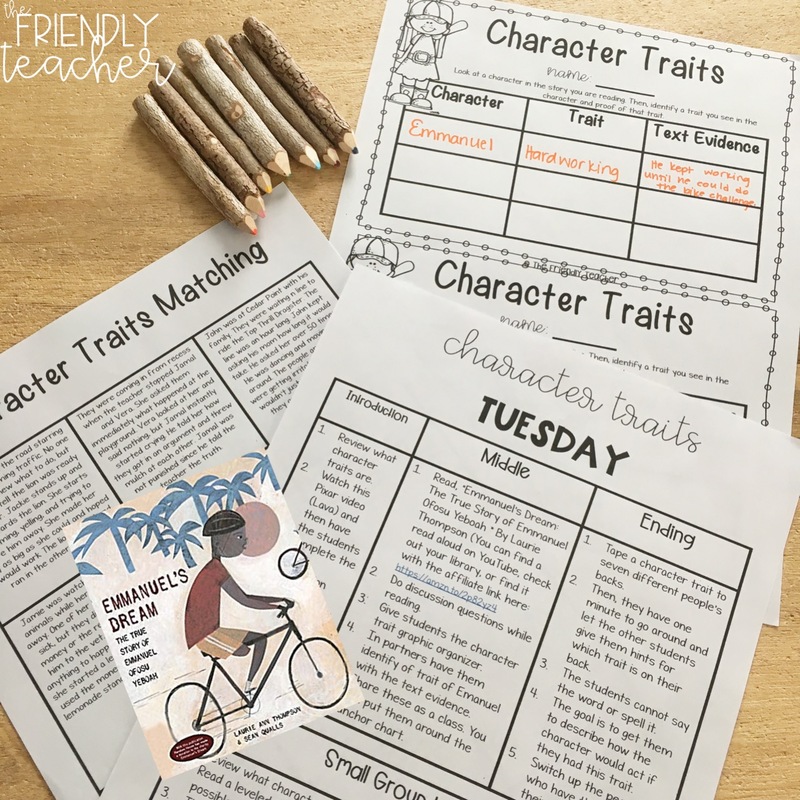 Then, we read “Emmanuel’s Dream: The True Story of Emmanuel Ofosu Yeboah” (affiliate link below), and do a graphic organizer on character traits that relate to the book! Then, we play a super fun character trait game. 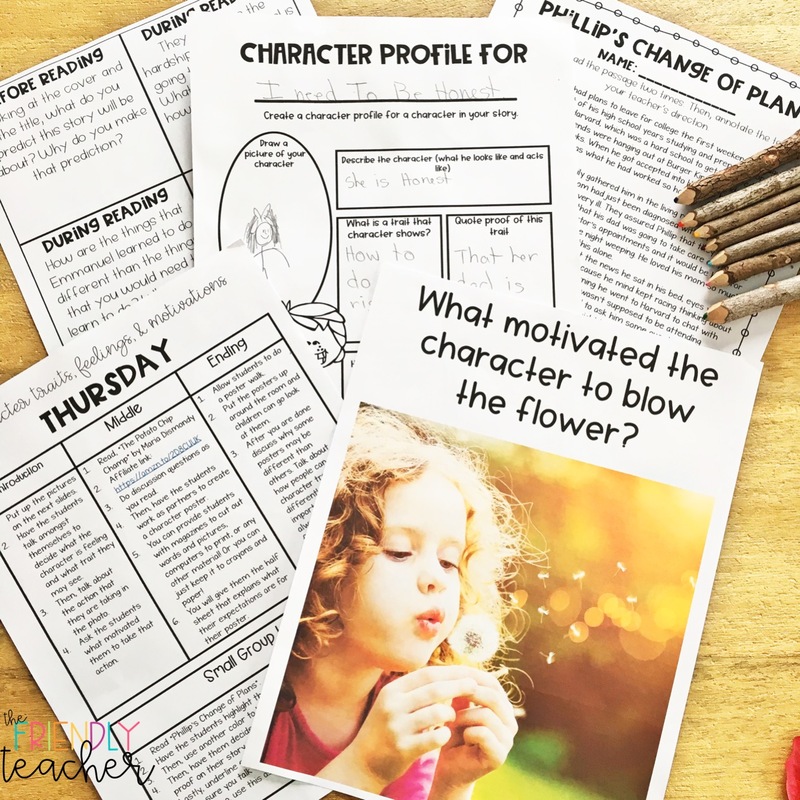 We reread the story from yesterday, but this time we look at character motivations and feelings. 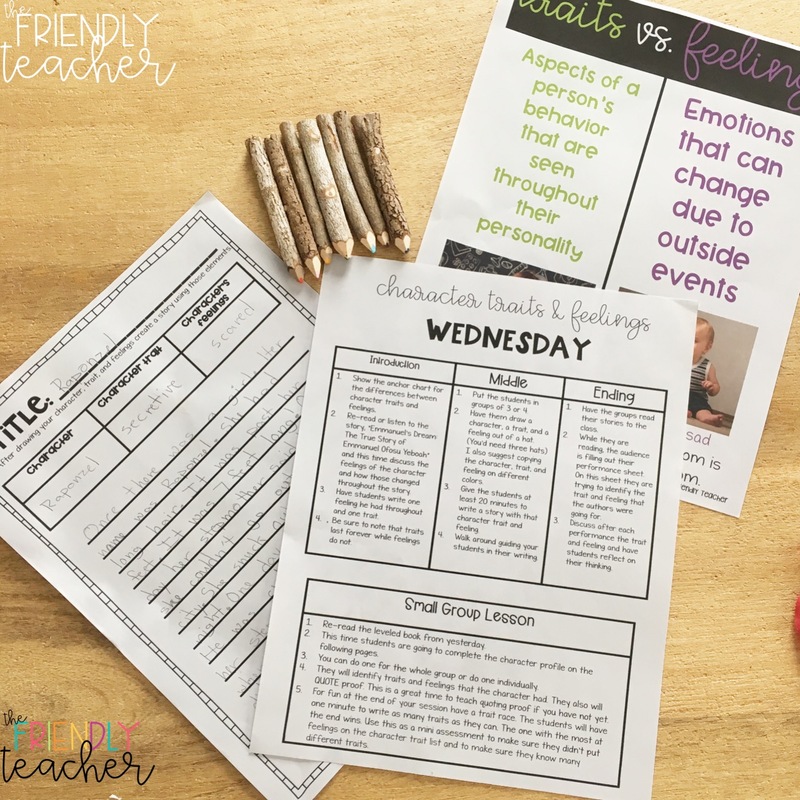 We use a new anchor chart to analyze how Emmanuel was motivated to do certain things and how his feelings changed throughout. Then, the students get in small groups and draw a trait, motivation, and feeling out of a hat. 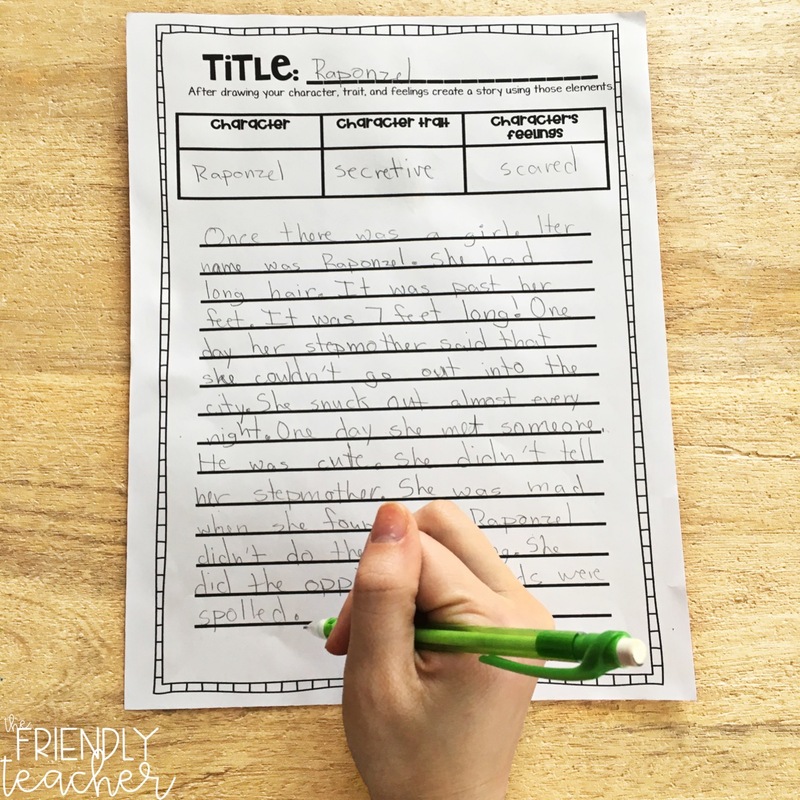 In their group, they have to write a story that has all of those things in it. Then, they read the story to the class and the audience has to decide what the trait, motivation, and feeling was. We use pictures to talk about character motivation as a group. Then, we read “The Potato Chip Champ” (link below) and work in partners to create character posters. Then, the class goes around and does a poster walk of the other group’s posters. We first play character charades which is SO FUN! 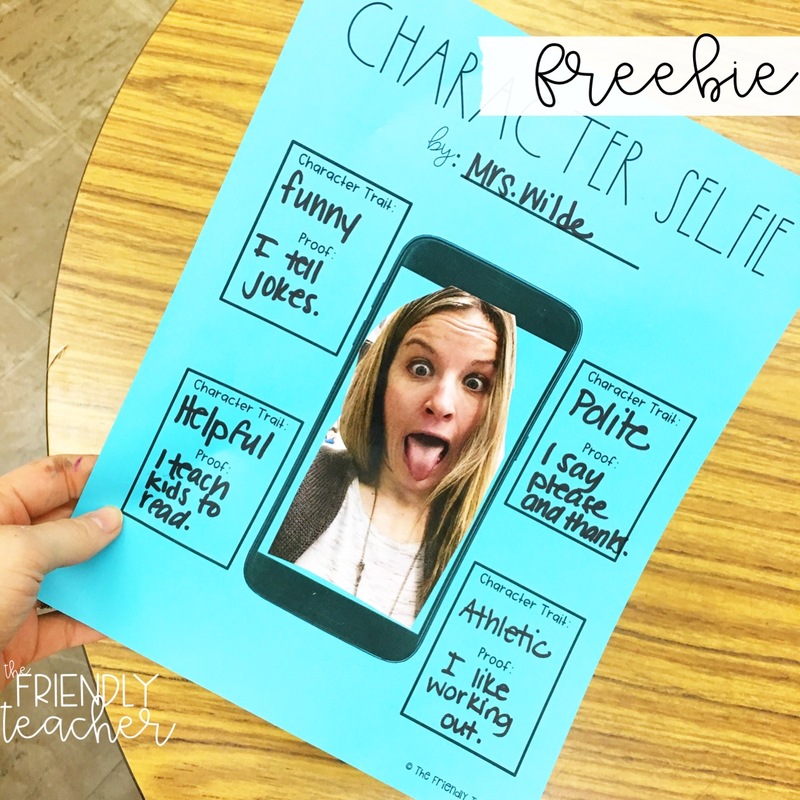 Then, the students create their own character selfies which they LOVE! They really just love taking a selfie, but analyzing their character is fun too! Once we are all done with that we take an assessment so I can see where they stand on the skill. We will work through the skill all year long, but this is the week we really focus on it. Every day I do small group lessons. 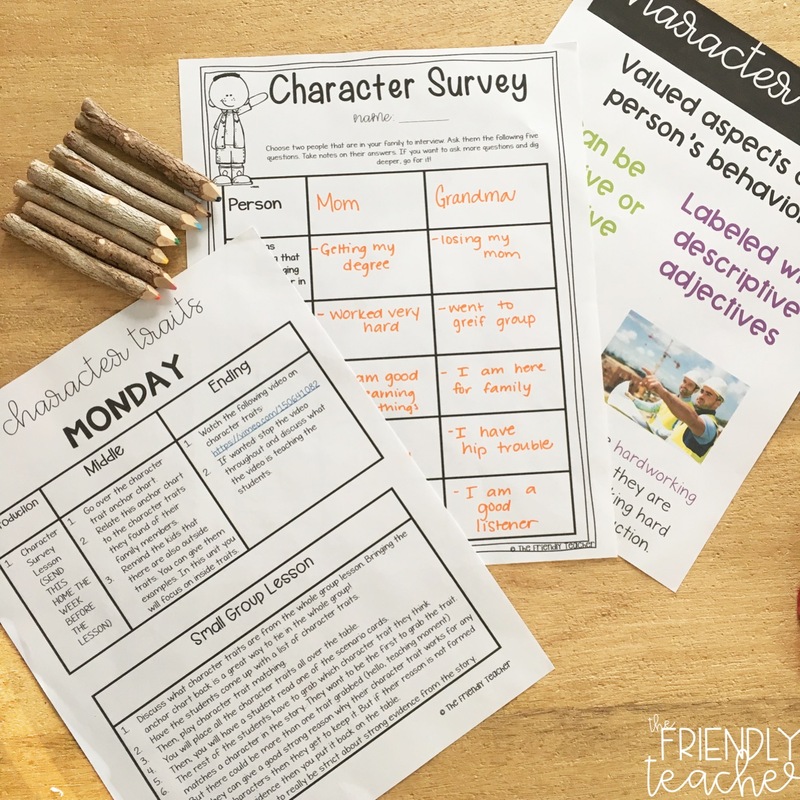 I have a lesson that I teach each day focusing on character traits. I switch these up depending on the skill level of the group. 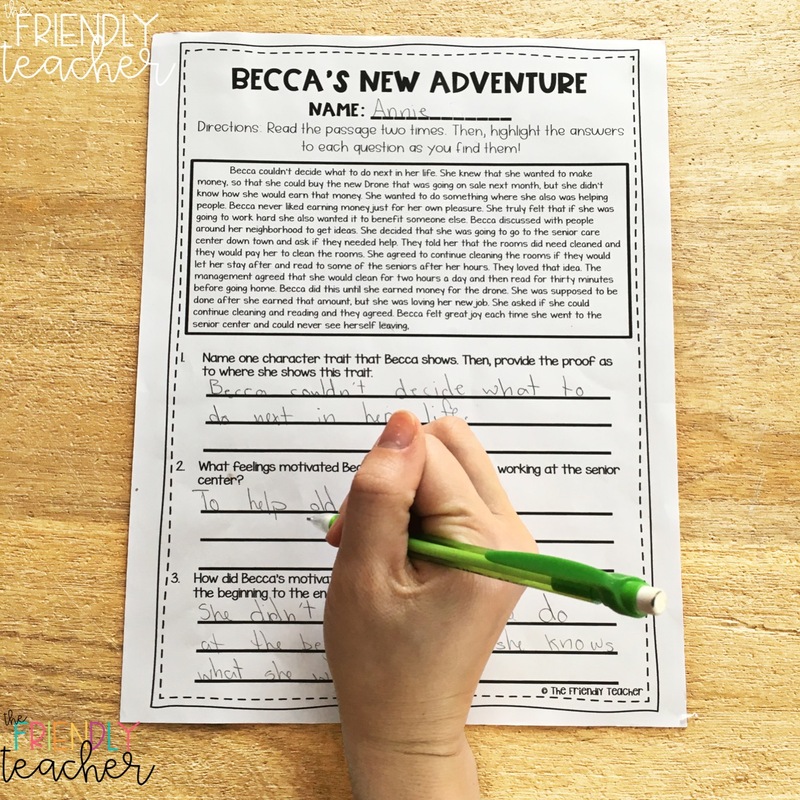 Wednesday: Use a leveled book and complete a character profile that makes the student analyze the characters. Thursday: Read an original story and annotate the text based on characters. This is a FULL week, but so much fun. « Top 5 Ways to Make Test Prep FUN!